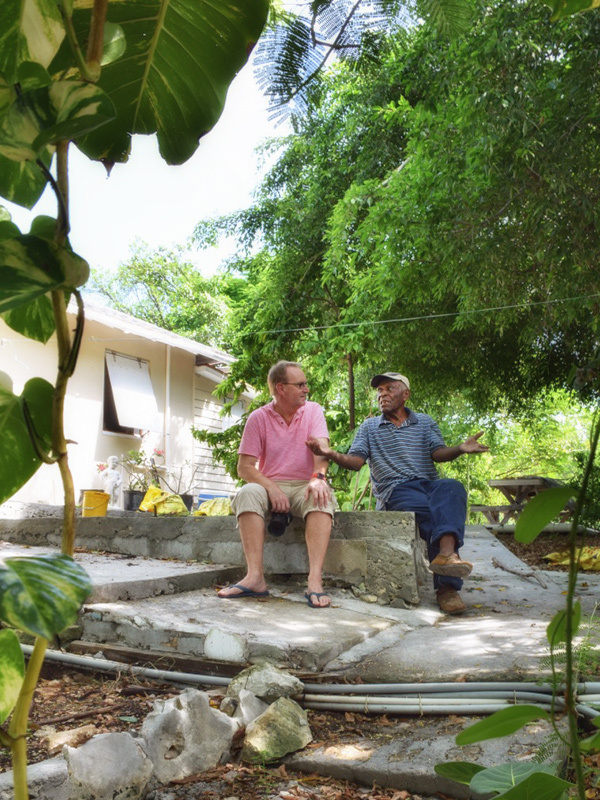 Steve Cox, affectionately known as Coxie, has been a caretaker on Cistern Cay for over 50 years. 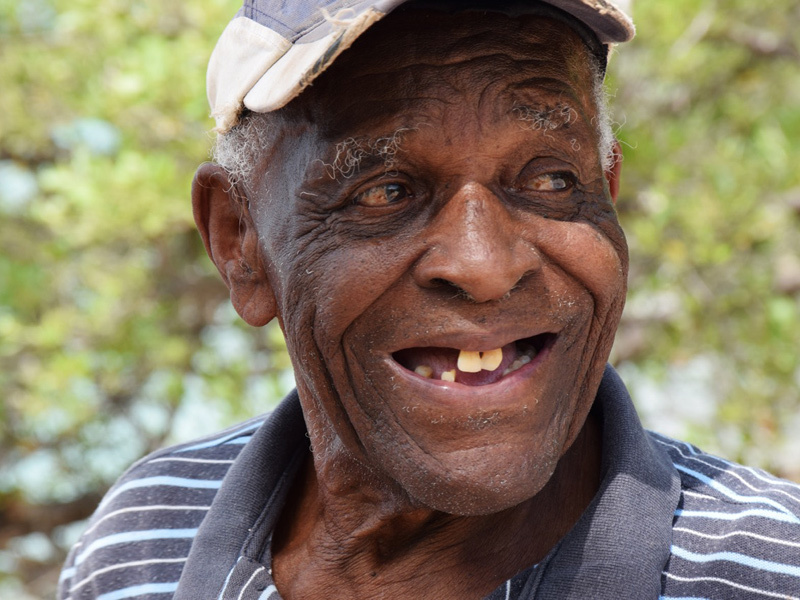 Born in 1931 on Acklins Island, he came to Cistern Cay in his early thirties, where he has lived and worked ever since. 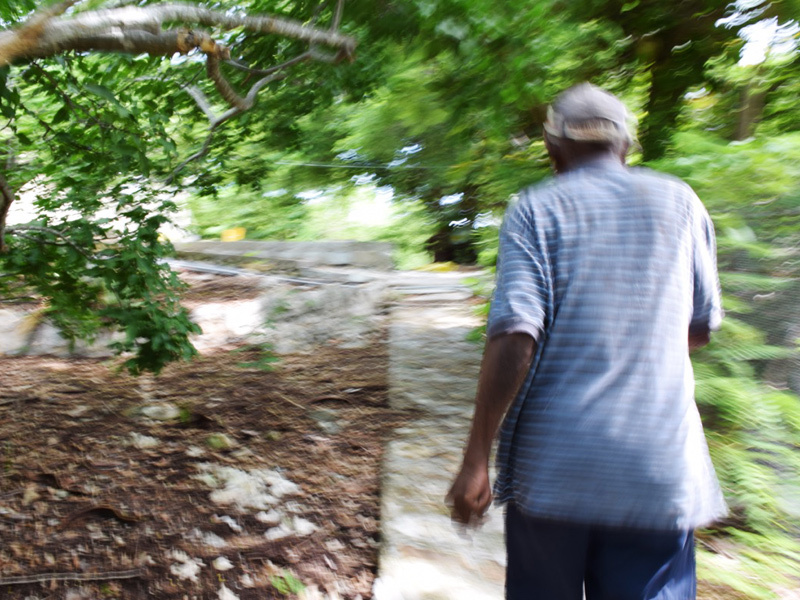 He is one of the few who has a pass to fish within the bounds of the protected Exuma Land and Sea Park as he was there long before the sanctuary was created. His knowledge of the waters and of the area is unsurpassed. 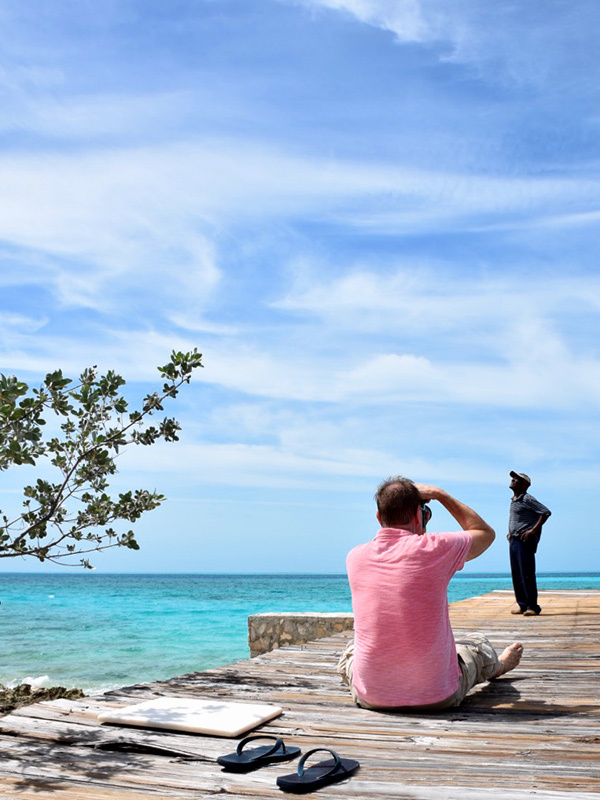 Photographer Chris Day was assigned to photograph Steve for The Bahamian Project. 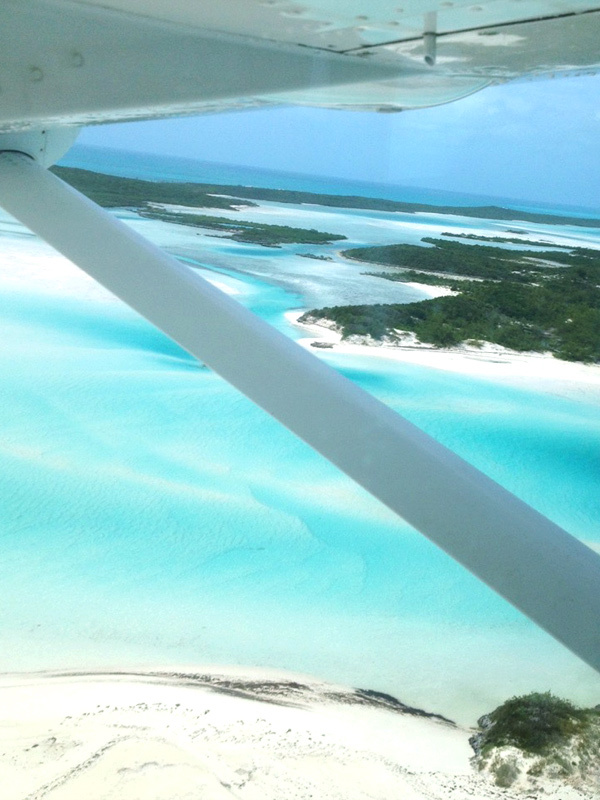 Flying over the Exuma islands on our way to photograph Steve Cox for the Bahamian Project. Chris Day chatting with Steve Cox outside his home. 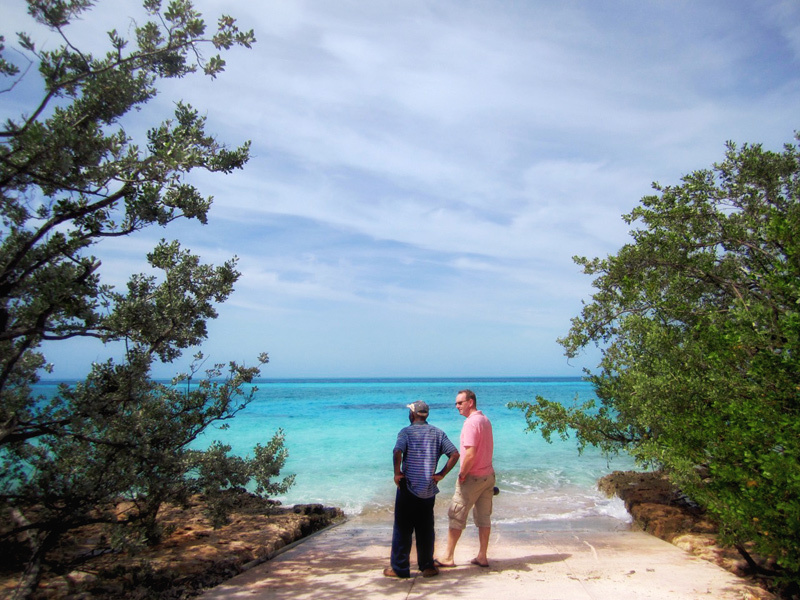 Coxie seemed happy to show us around the island. 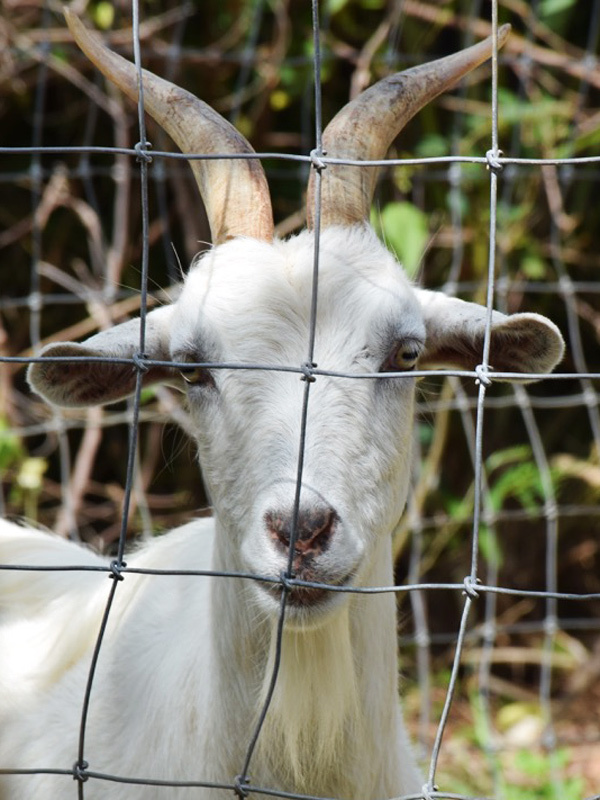 One of the several beautiful goats that live there. Chris and Steve deciding on locations to do the portrait session. Steve hand-built this dock decades ago. 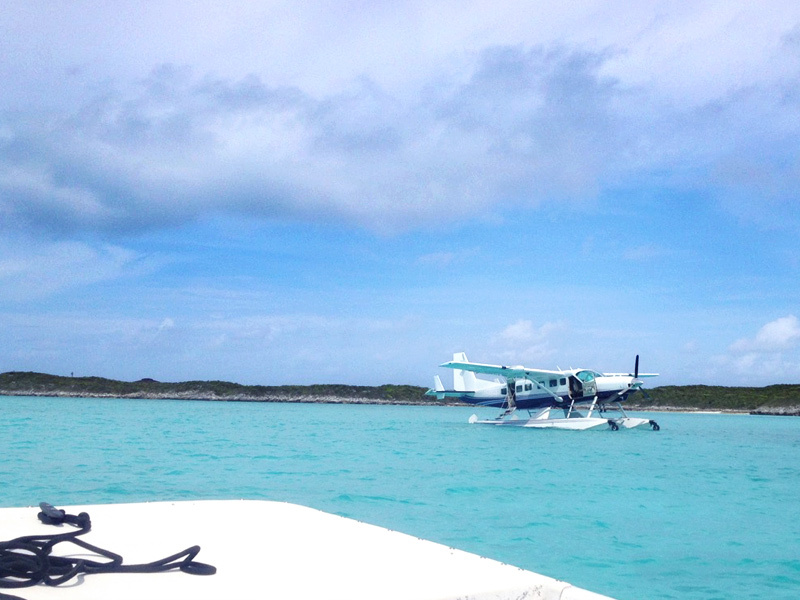 Taking the small boat back to the waiting sea-plane. It’s been a lovely adventure.